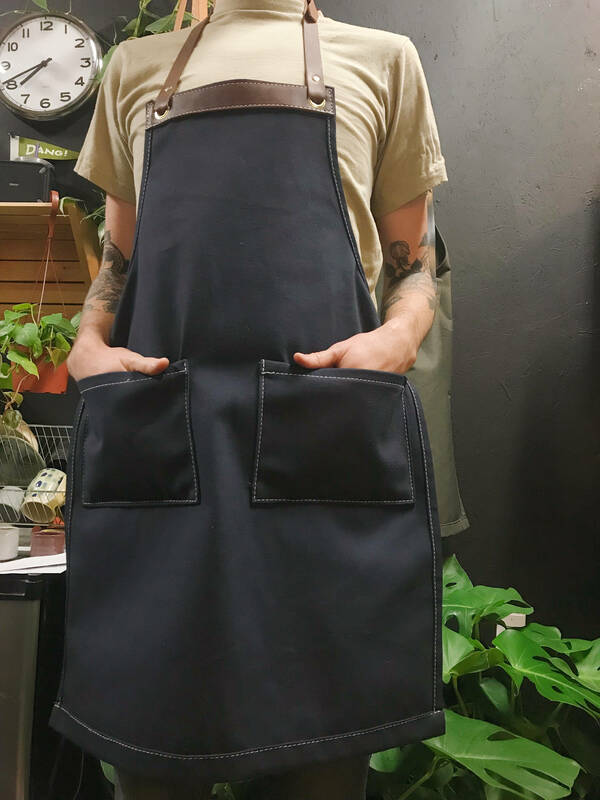 A handsome twist on a simple canvas apron. This piece features leather accents and brass hardware. Sturdy leather straps adjust using brass buckles. Two large pockets are sewed securely at hip height, and can hold small tools, utensils, tip money, snacks, and whatever else you may need at your fingertips. The leather detail along the top and on the corners creates unmatched durability and style. 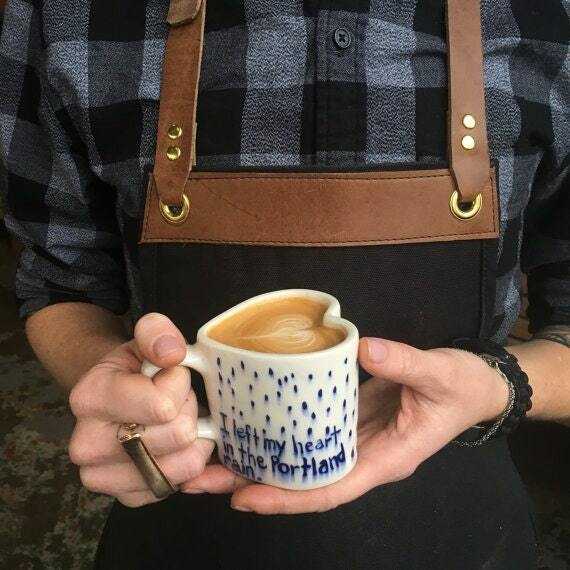 This apron is built to see you through infinite projects! 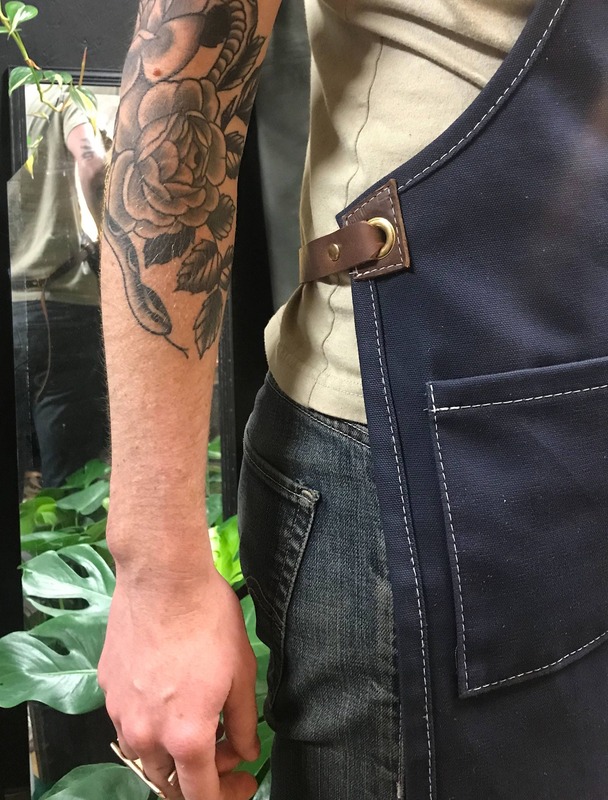 Apron is available in navy canvas duck with white stitching and red-brown leather detail. If added water resistance is desired, I recommend using Otter Wax or other fabric wax to create an extra layer of protection between you and your craft.